Having to choose a favourite quilt is like having to choose a favourite child, but if I had to choose one, Moon Shadow is high on my list of my favourite quilts — just don’t tell my other quilts. The simplicity of the design made it a joy to make from start-to- finish. 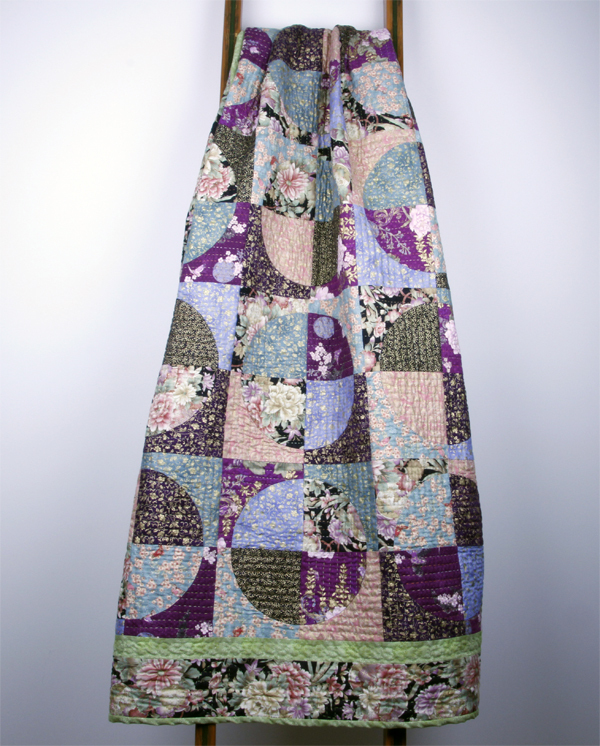 In some quilts the design is the major attraction and the fabrics are the supporting cast, but the fabrics in Moon Shadow were so beautiful in their own right, I decided to make them the stars of the quilt. The pattern is the traditional Drunkard’s Path block. 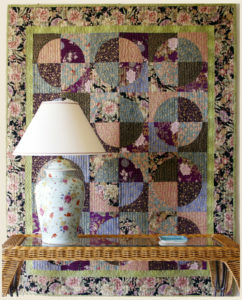 I felt that the circles were in keeping with the oriental-style fabrics as they reminded me of Moon Windows in Japanese gardens. 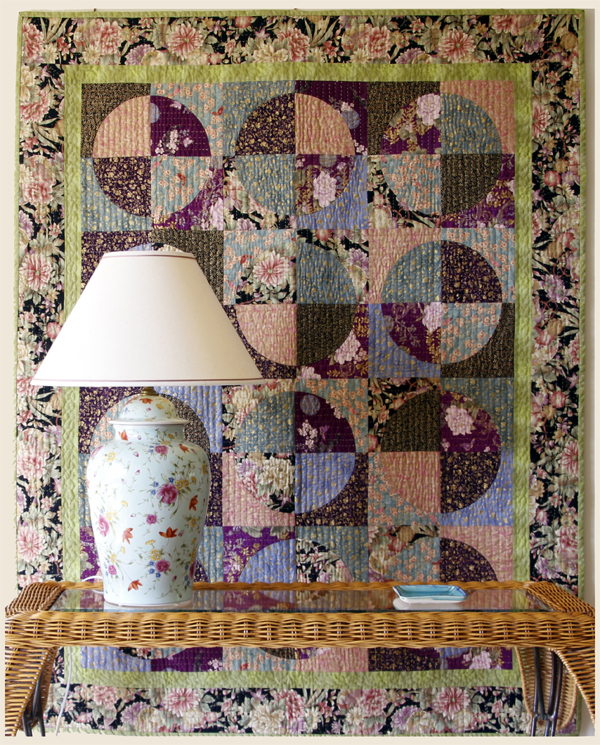 My original size Moon Shadow used a collection of nine fat quarters for the curved blocks. 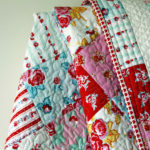 I could have used fewer fat quarters but I wanted to use all nine fabrics in the range. Cutting and stitching the curves by hand may seem time consuming to some people, but for me, it’s therapeutic. 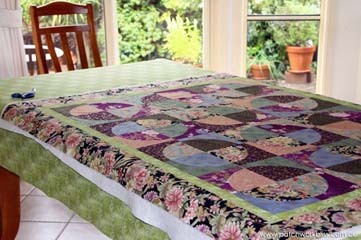 The quilting is very simple with half-inch lines and a larger stitch. 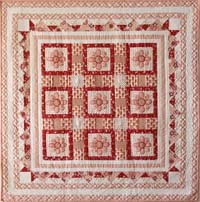 I used a peach thread in the vertical blocks and a green thread in the horizontal blocks. 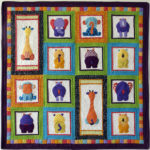 The Moon Shadow Pattern is now available so you can make your own quilt. 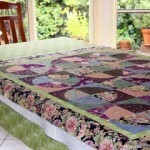 The pattern includes fabric requirements and instructions for both the original size as well as Queen Size. Also included are instructions for those of you who would prefer to cut out the pieces with a rotary cutter. 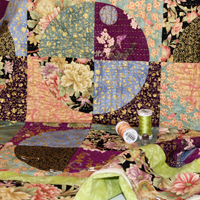 All of the Patchwork Bliss Quilt Patterns have detailed step-by-step instructions. The patterns are in inches with a 1/4 inch seam allowance. The fabric requirements are in both metres and yards.